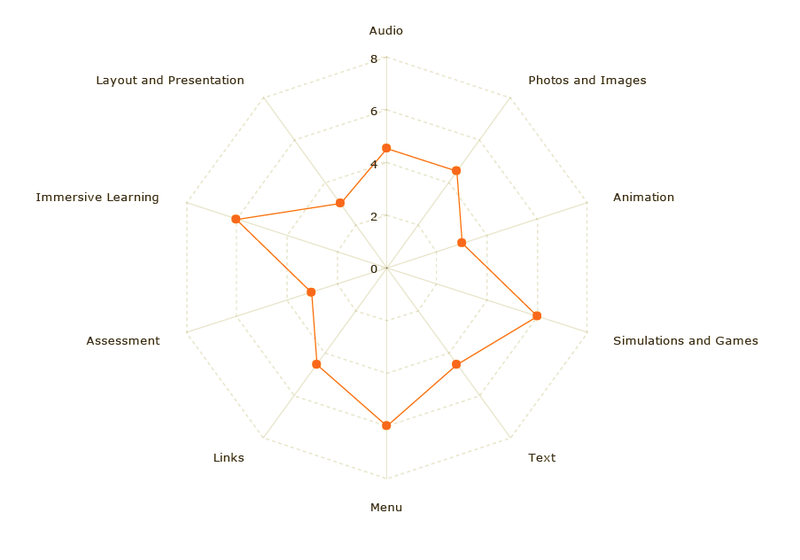 The Learning Light e-Learning Content Evaluation Tool has been developed to provide an objective means of evaluating an elearning course. 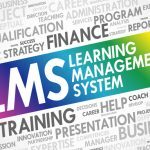 Learning Light undertook several commissions from clients to evaluate elearning courses, and this led to the development of firstly a methodology and now the e-LCET tool to objectively evaluate elearning courses. The initial inspiration was based around elearning guru Michael Allen’s Objectives X Treatment matrix. This simple matrix looks at the learning objectives and the elearning interactions that could be applied to create engaging and effective elearning. The e-LCET tool focuses firmly on the learner experience of an elearning course and how this relates to the course’s design. 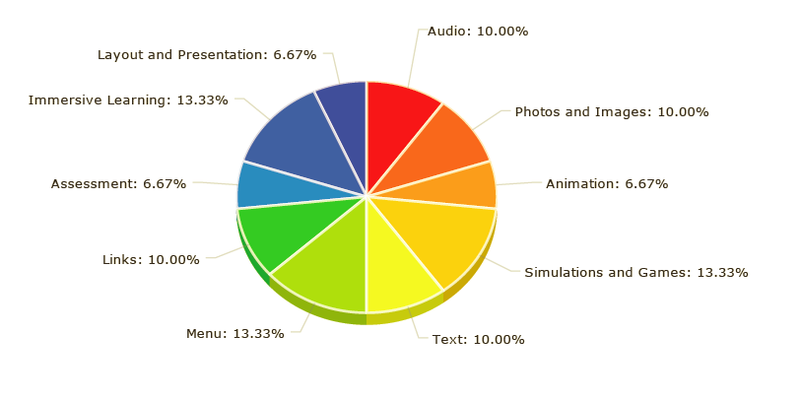 We firstly look at the Genres involved in the course, and secondly we evaluate these genres against 129 data points. e-LCET is now a very capable tool that does much much more than the spreadsheet driven process it replaces. It is configurable to allow the evaluation of all genres of elearning materials, videos, games, animations and recognizes accessibility issues as well. It is also smart and flexible enough to allow the materials to be rated against realistic standards to reflect real world budgets. 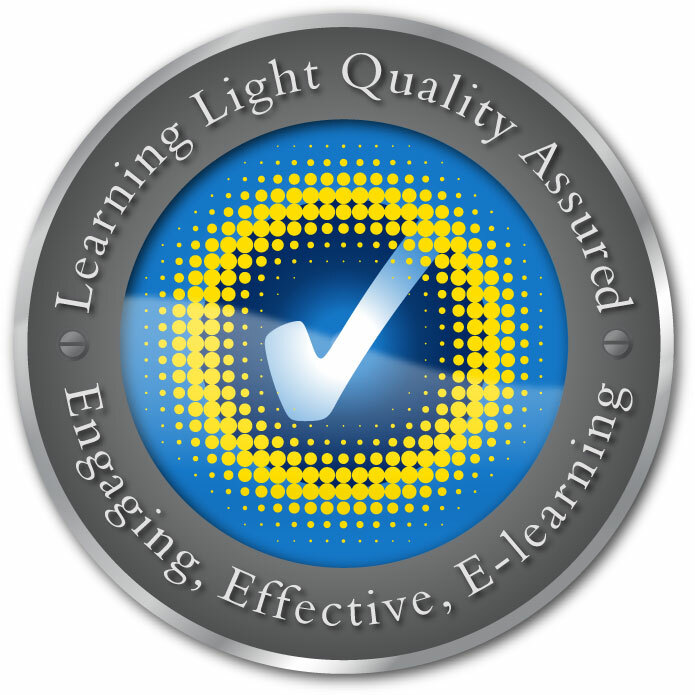 Our mission has been to ensure any buyer that the materials marketed by Learning Light are of an appropriate standard and will deliver effective and engaging e-learning. 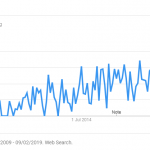 There are a growing number of e-learning content exchanges but to our knowledge none take the trouble to curate and evaluate the content sold at the level of detail Learning Light does. We have also used e-LCET to evaluate elearning courses from other vendors and organisations as an independent third party. If you would like us to review your courses, or to review a vendor’s courses as part of a procurement exercise, please contact us. 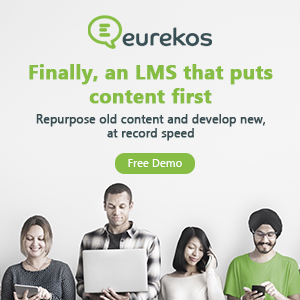 The use of e-LCET will grow, we believe, to support the procurement of bespoke e-learning content, as the ability of organizations to translate requirements into more detailed specifications for vendors to develop content against has proven challenging to many organizations or departments new to procuring e-learning. 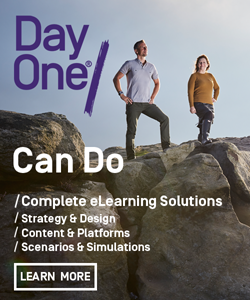 In addition many developers have been frustrated with customers who are unable to clearly articulate their requirements or continue to make change requests throughout the development process as the e-learning courseware development unfolds. 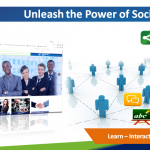 Using e-LCET to understand what makes good e-learning and even scope projects will be of great value.